Posted July 1st, 2015 by alexa & filed under Weddings. 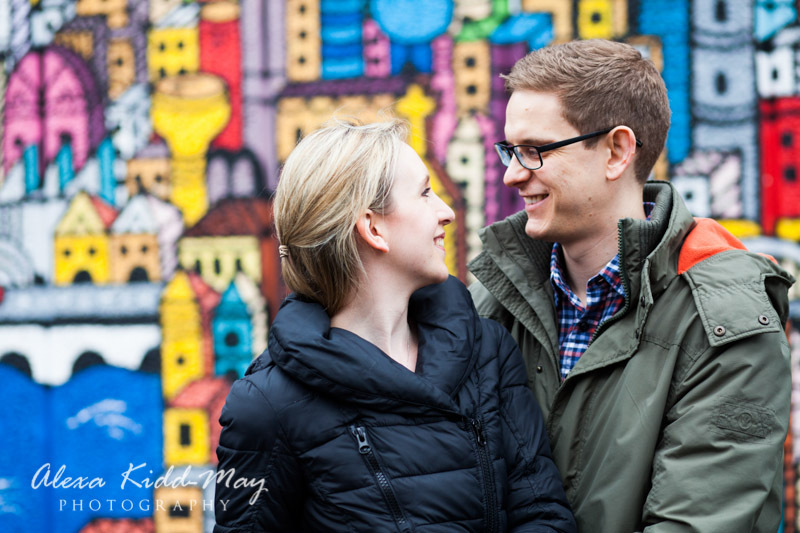 I’m really looking forward to photographing Lucy and Sam’s wedding in Amersham this weekend. 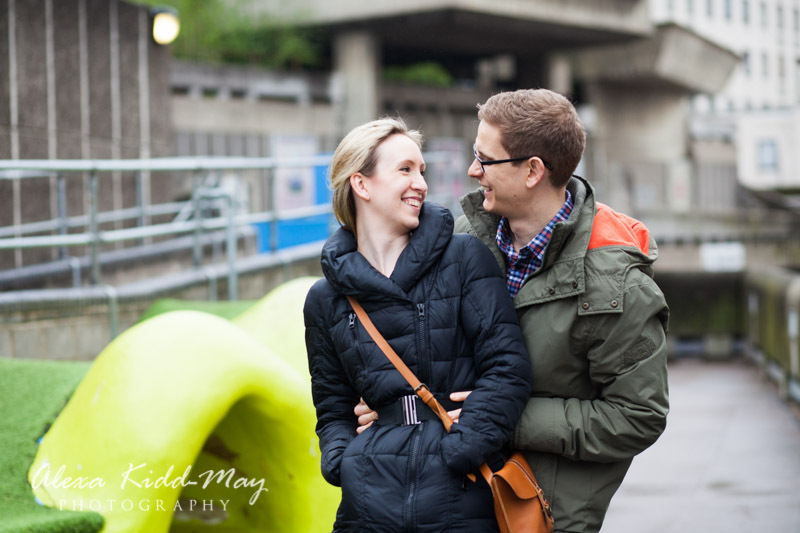 We met up last month at London’s Southbank for their engagement shoot. 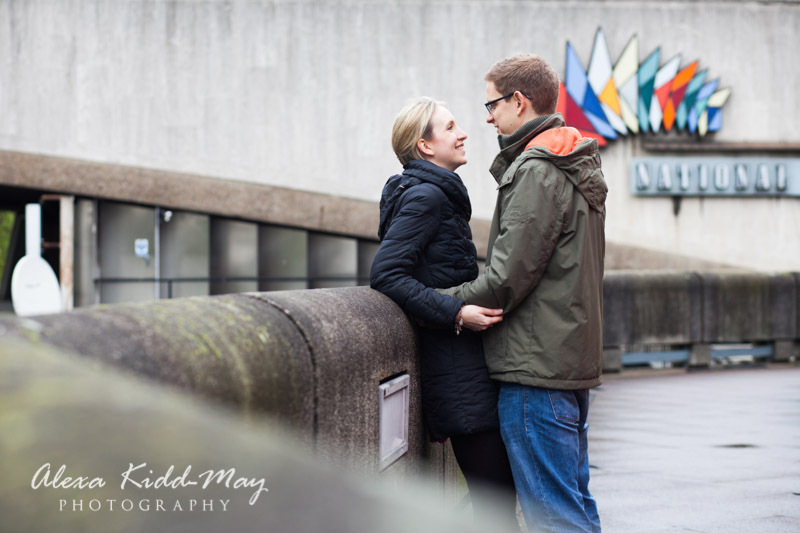 I never get tired of visiting the Southbank as it really is one of my absolute favourite places for photography. 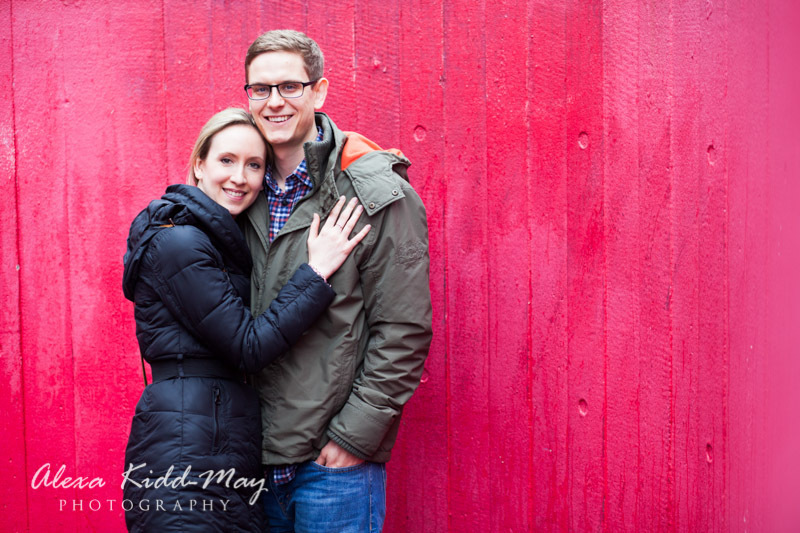 There are so many fantastic colourful backdrops. It also has the benefit of a whole range of famous London landmarks too. 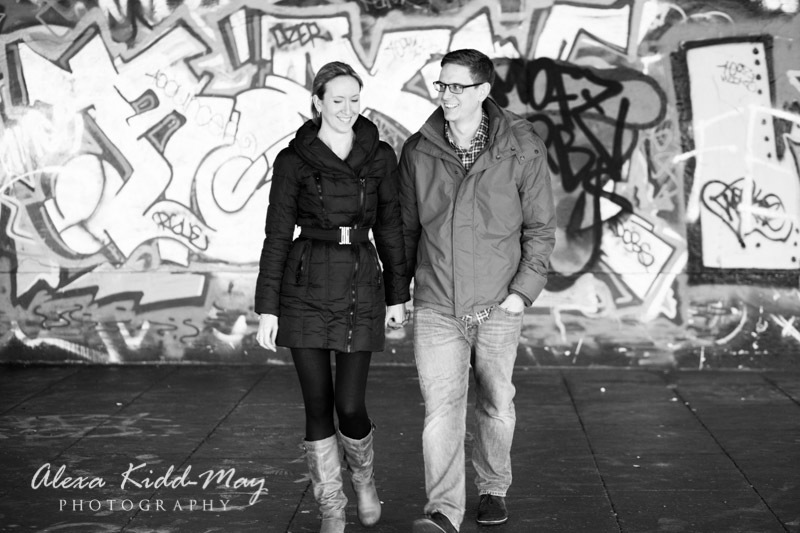 And Lucy and Sam were keen to include in some of their London engagement photos. 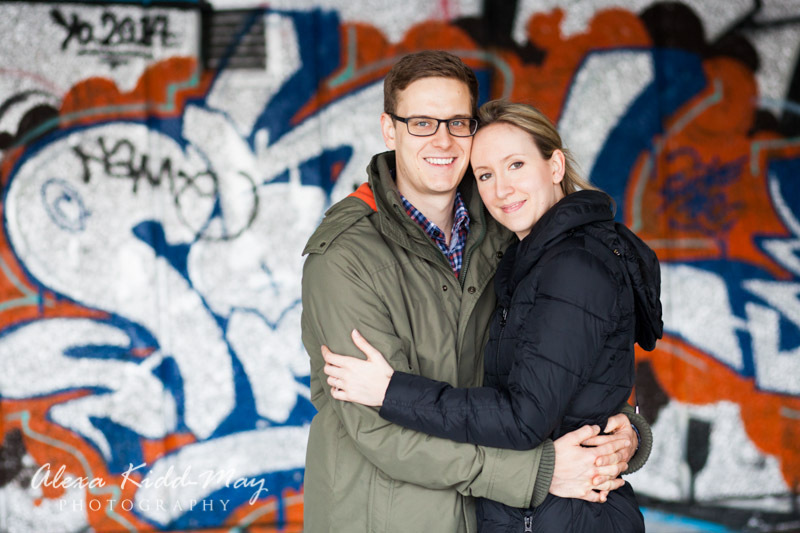 From Westminster Bridge to the Skateboard Park…. 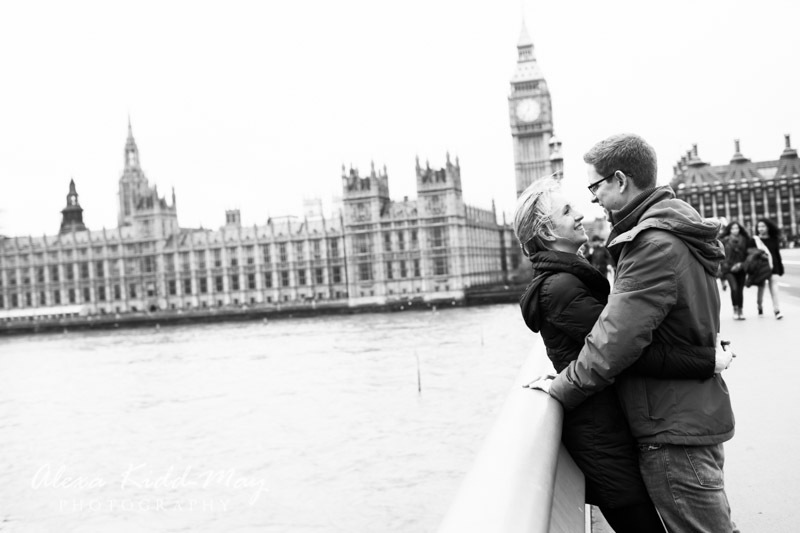 We met on Westminster Bridge, which is quite a popular starting place for many of my photography sessions, whether they’re with families, couples or musicians. 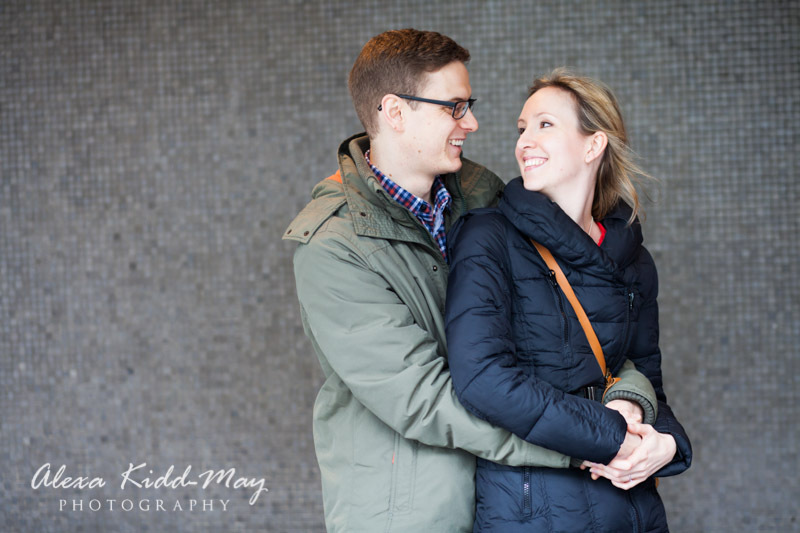 Lucy and Sam only had eyes for each other, so didn’t notice the crowds of people whizzing past! 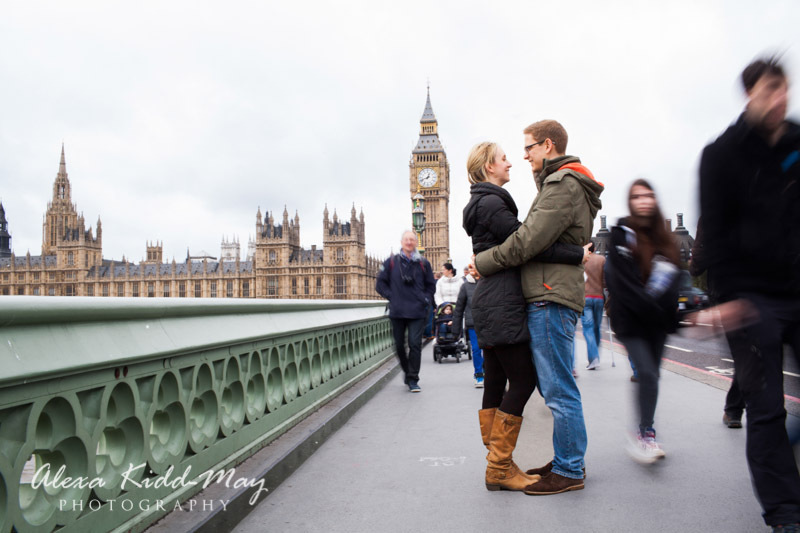 After capturing a series of images with the iconic Houses of Parliament and Big Ben in the background we headed towards the Royal Festival Hall. It’s one of my favourite places as it has so many fun areas for photos around it. 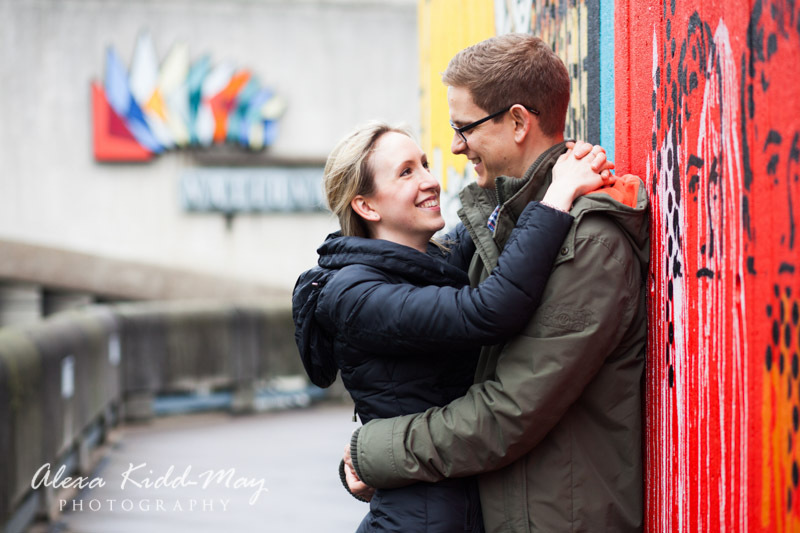 There are endless painted walls, which produce some really vibrant images. 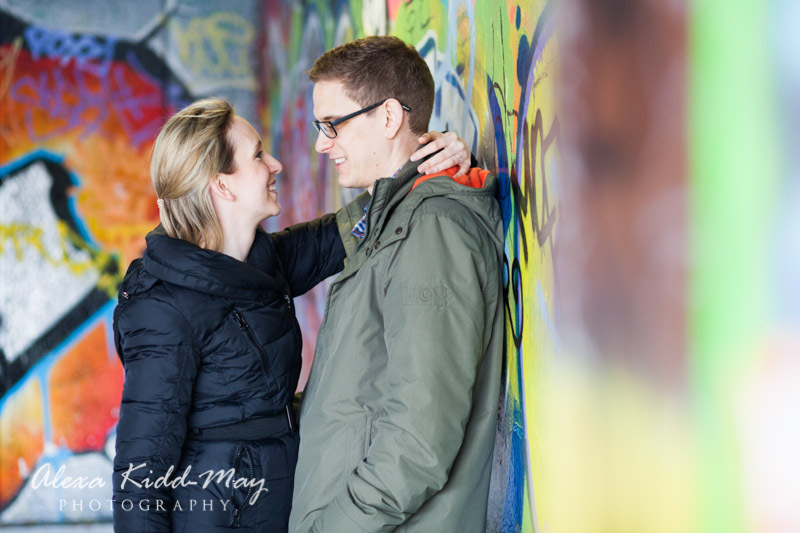 And of course we spent a bit of time in the Skateboard Park – I just love the graffitied walls there! 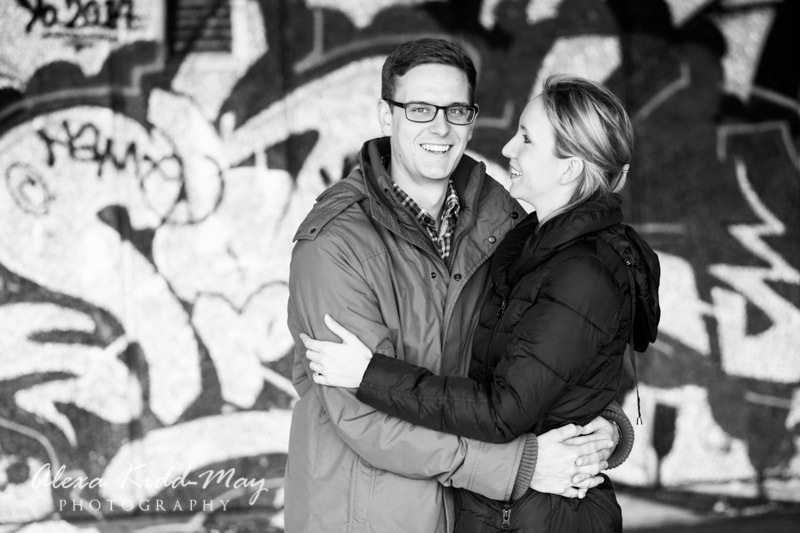 We had such a fun morning together and I can’t wait for their wedding – it looks like it will be a fantastic day. With London gripped in the middle of a heatwave, thankfully it seems like the temperature is set to cool a little for the weekend – ideal for a lovely summer wedding. 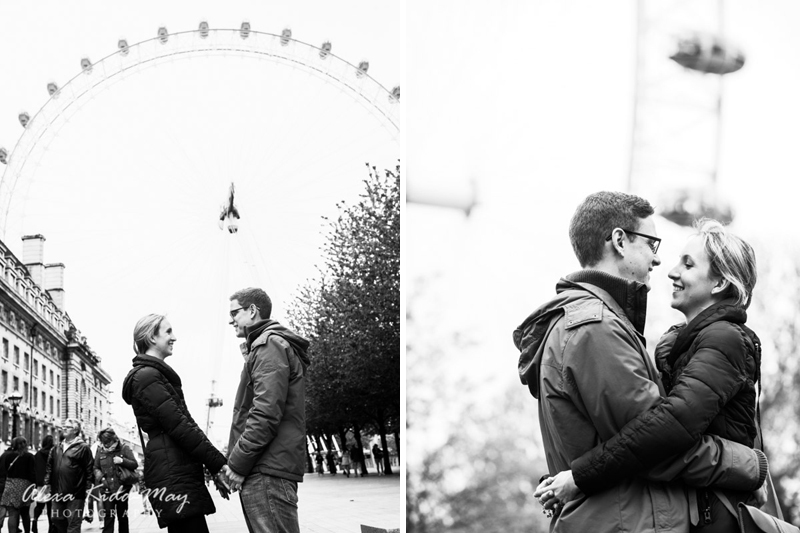 Here are some of my favourite shots from the Southbank.